Will the dogs of war matter if there is havoc? 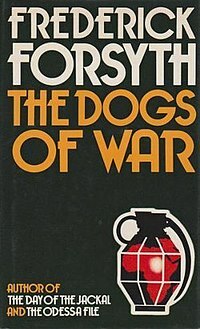 The Day of the Jackal is probably the best known, but my favourite Forsyth novel is The Dogs of War. In this novel about miners and mercenaries in a fictitous African republic, the ‘tribe’ of migrant workers play a crucial role — you should really read the book, but if not, see here for what I mean). Dogs of war are being assembled in the deserts of the Persian Gulf. Will they help if there is havoc? Let me take you back to 2005, when terrorism in the name of Islam was all the rage. 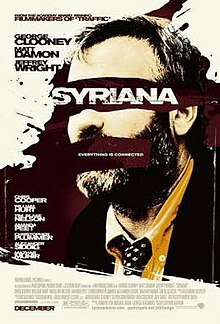 That year, Stephen Gaghan and George Clooney made a critically acclaimed movie called Syriana. That movie ended with Wasim (the Pakistani worker superbly played by Mazhar Munir) leading what seems to be a suicide attack on an LNG tanker. Wasim is indoctrinated into Jihad International by a blue-eyed Islamist. The jihadis are the only Arabs who treat Wasim and other Desis humanely. Other Arabs treat Desis like serfs and slaves. The message is clear — the proletariats in the Gulf’s petro‑monarchies are a tinderbox of Jihadi violence. There are nearly 3.5 million foreigners in UAE, against less than a million of nationals. Kuwait has nearly 2.5 million foreigners, against around a million national. In Qatar, there are over a million foreigners against less than 300,000 nationals. Saudi Arabia has 18 million nationals, but even in that kingdom there are 6.5 million foreigners — and foreigners dominate the major cities and oil producing areas. Foreigners make up over half of the workforce in the region. A large number of these ‘guest’ workers have lived in these countries since the 1970s. There are Desi families extending multiple generations in Jeddah or Dubai. But even the affluent of these workers have very few economic or political rights, and the unskilled workers have virtually none. Here is an example of how they are treated (violent content). How long will the serfs serve? In 2008, there were serious but sporadic labour unrest. Then the Dubai bubble burst. And now we have the uprisings elsewhere in the Arab world. Will there be an uprising of the have-nots in the Gulf? In Syriana, we don’t see any uprising or popular politics. Wasim and his blue-eyed friend are not leading a mass strike. They are a clandestine cell engaged in a violent act of insurgency (or terrorism depending on your point of view). And of course, radical political Islam is their ideology. Again, the message is clear — radicalized by political Islam, Gulf’s underclass is striking against the establishment. But Jihad International is sooooo 2001. This is 2011. Osama is dead. We are in the time of Obama. What happens if the tribe of foreign workers try create a Benghazi in the Gulf? The sheikhs and their dogs won’t be able to deport 15 million men and women, surely.